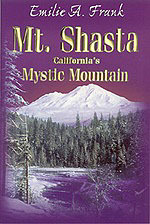 In Emilie A. Frank’s book, Mount Shasta California’s Mystic Mountain, the reader becomes acquainted with Abraham Joseph Mansfield, one of the interesting individuals covered in this fascinating collection of tales of the Mystic Mountain. The self-published author of the Golden Goddess of the Lemurians and the King of the Lemurians, Mansfield told colorful tales of the ancient Lemurians living under Shasta. He described great tunnels, rooms lined with gold and storehouses of priceless jewels. The very tall Lemurians lived under Mount Shasta after reclaiming it from a great cataclysm thousands of years earlier. 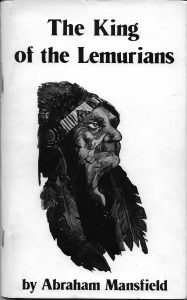 Although James Churchward never mentions the word Lemuria in his writings, Mansfield divulges the little known fact that James was the Chief of the Gods of the Lemurians from 1874 to 1904. He had access to the Plates of Time, treasured and ancient Sciences of God and the advanced technologies of the atom bomb, ESP, electronics, and science known to ancient advanced civilizations. According to Mansfield, the Plates of Time were assembled thousands of years ago. The Ice Age was coming on, which meant total destruction. The rulers of that ancient civilization were highly educated and had highly civilized sciences including atomic power. They tried to combat the ice flows by melting them. They blew deep holes in the earth; the more melting, the more water, earthquakes, and volcanic action, their civilization was destroyed by the use of atomic power. The Plates of Time were assembled for future generations to preserve the knowledge they had about atomic power so that a new generation would use it wisely and respect the powers of God, and all things beginning to end, of all worlds and time. Also according to Mansfield, after James tenure as Chief of the Gods was complete, the role was assumed by Arthur Cowdray until 1934 when during a mental séance, Abraham Joseph Mansfield was appointed Chief of the Gods of the Lemurians. James never mentioned his participation in this great office, however, it becomes one more accomplishment for my great-grandfather. While researching information for my next book on the Great Uighur Empire, I was surprised to discover a letter describing manuscripts James Churchward had available in early 1926. James is known to have published travel brochures in the 1890s (see http://my-mu.com/jworks.html,) and appeared on the early days of WNYC (see http://blog.my-mu.com/?p=673.) Newspaper accounts of his theories first appear in 1924 and his first book on those theories appeared in 1926, the Lost Continent of Mu Motherland of Men. 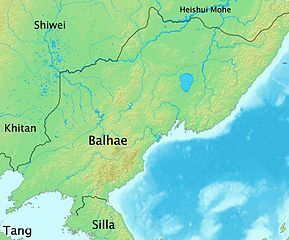 In 1924, Baird T. Spaulding’s book was published entitled “Life and Teaching of the Masters of the Far East;” an account of his visit to the Far East and his interaction with the ancient masters with incredible powers. A post from 2015 provided some data (see http://blog.my-mu.com/?p=1787) on Spaulding. In a letter dated February 20, 1926, James Churchward wrote to Stella Spaulding, Baird’s wife, to request Mr. Spaulding present a manuscript to his publisher (DeVorss & Co.) for an offer on publication. Subsequently, he mentions he has some manuscripts in fair shape. 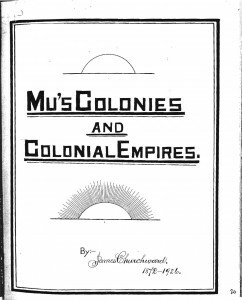 Mu’s Colonies and Colonial Empire – showing how the world was peopled from Mu. The Origin and Workings of the Great Forces – showing how and what forces govern the movements of all the celestial bodies, and their origin. The forces that govern the earth’s movements – The Origin of Life, what Life is, and what forces govern it and their origin – this is my most profound work, and I would like to get it going. Geological Phenomena – volcanic gases and their workings, which includes the great gas belts and mountain raising – there are 60 maps in this one. James also mentions his desire to follow Mr. Spaulding’s opinion on the publication of his manuscripts. A subsequent 1926 letter from Stella Spaulding to James (contained in Lost Gems of the Lost Continent of Mu) relates Mr. Spaulding’s interest in and the great amount of time spent reading the manuscripts he received from Churchward. 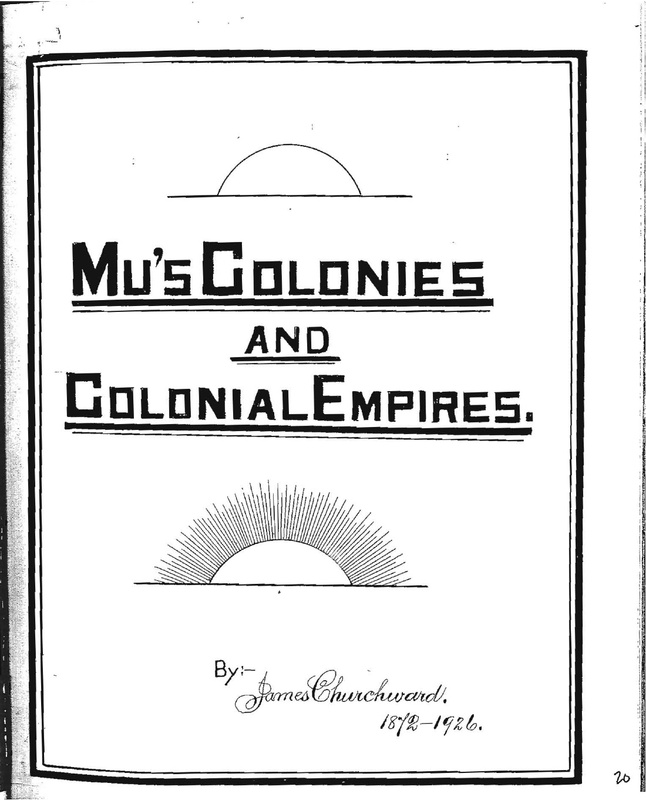 A typewritten copy of “Mu’s Colonies and Colonial Empire” does exist and attempts to obtain a copy have all failed. While it is easy to point to “Mu’s Colonies and Colonial Empire” and infer it became what is known as “Children of Mu,” and that the “Origin and Working of the Great Forces” became the “Cosmic Forces of Mu. ;” however there is no corollary to the “Lost Continent of Mu” or “Sacred Symbols of Mu.” On the other hand, WR Rudge published “Lost Continent of Mu Motherland of Men” in 1926, the same year. Is this an indication James was looking for a better deal from a different publisher? 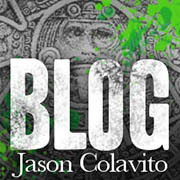 James stayed with Rudge, even sending his neighbor a copy of “Copies of Stone Tablets Found By William Niven in Santiago Ahuizoctla near Mexico City” for Christmas 1926. His work was subsequently reorganized and published over the next few years. Questions remain – are there other copies of these manuscripts out there? Is there additional material contained in these manuscripts and cut from his future books providing additional references or proofs?